Ministers have made little headway on plans for a new £400m Charging Investment Infrastructure Fund nearly six months after it was announced. The Budget report followed this up by announcing government investment of £200m, which would be matched by private investment into a new £400m Charging Investment Infrastructure Fund. The Government also said it would provide £100m towards the Plug-in Car Grant and committed to electrifying 25% of cars in central government department fleets by 2022. However, more than five months since the Charging Investment Infrastructure Fund announcement, work is behind schedule, as revealed in a written parliamentary answer by Robert Jenrick, a junior Treasury minister. Commenting that “the Government is engaging with the private sector to ensure that it is set up in the most effective way”, Jenrick said work to procure a private sector fund manager – who would be tasked with raising the £200m of private investment – wouldn’t begin until this summer. The delay will hamper ongoing fleet efforts to turn to plug-in cars as Benefit in Kind rates on conventionally powered vehicles continue to soar. Fleets are also coming under increased pressures to turn away from both petrol and diesels as a number of towns and cities look to deploy clean air zones under the Government’s latest air quality plan, ahead of government plans to ban new petrol and diesel car sales by 2040. Highlighting the pressures that fleets are currently under, minicab giant Addison Lee said at the time of the Budget that it was “ambitious to use the most environmentally friendly cars possible” but had been “held back by a lack of appropriate infrastructure”. Charging networks are also likely to come under increased pressures due to ongoing declines in diesel car take-up and efforts by carmakers to ditch diesels – including Toyota, which will have eradicated diesel across its European line-up by the end of this year. 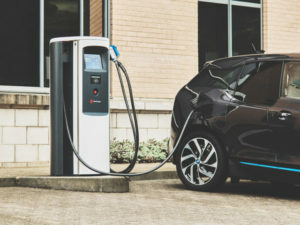 According to Chargemaster, the UK is already on track to hit one million electric cars by the end of 2022, accounting for around 10% of all new registrations. However, Chargemaster has expressed concerns about the charging infrastructure fund, which it said risks distorting the private sector investments being made in EV charging in the UK and could have the reverse impact of its intention – potentially slowing down the deployment of infrastructure. David Martell, founder and chief executive, said: “There is no shortage of private investment ready to fund public charging infrastructure, but one area where more investment is needed would be around upgrades to the grid itself and localised network capacity.